William Lamberth represents the 44th District in the Tennessee House of Representatives, which encompasses a portion of Sumner County. The District includes the communities of Hendersonville, Gallatin, Portland, Westmoreland, and New Deal. 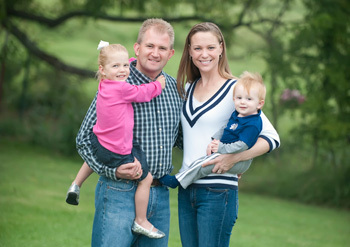 William is a fifth generation resident of Sumner County and has dedicated his life to serving this community. Before being elected State Representative, William served as an Assistant District Attorney General in Sumner County and is a graduate of Portland High School. He received his Bachelor.s degree in Political Science from the University of Tennessee at Knoxville and earned his Juris Doctor from the College of William and Mary. In addition to his work as State Representative, William is heavily involved in the daily life of the community. He currently serves as Chairman of the Portland Community Education Foundation, is on the board of Children Are People, Inc and Historic Rock Castle, and is a former President of both the Gallatin Rotary Club and Sumner County Bar Association. In his role as State Representative, William has been a strong advocate for creating an environment in the state where businesses can grow and thrive, a steadfast defender of the unborn, and resolute protector of our 2nd Amendment right to bear arms. In addition, Representative Lamberth has championed legislation to impose stricter penalties for those who commit the most heinous of crimes, while at the same time allowing for rehabilitation programs for those who sincerely seek to reform their lives by rejoining society in a positive way. William is an active member of the First Baptist Church and regularly visits Honduras on mission trips with the Middle Tennessee Mission Outreach. William is an outspoken supporter of pro-life causes and helps sponsor the Cumberland Crisis Pregnancy Center. He met his wife, Lauren, during law school and they have two amazing children, Allison and Pierce, ages 5 and 3.